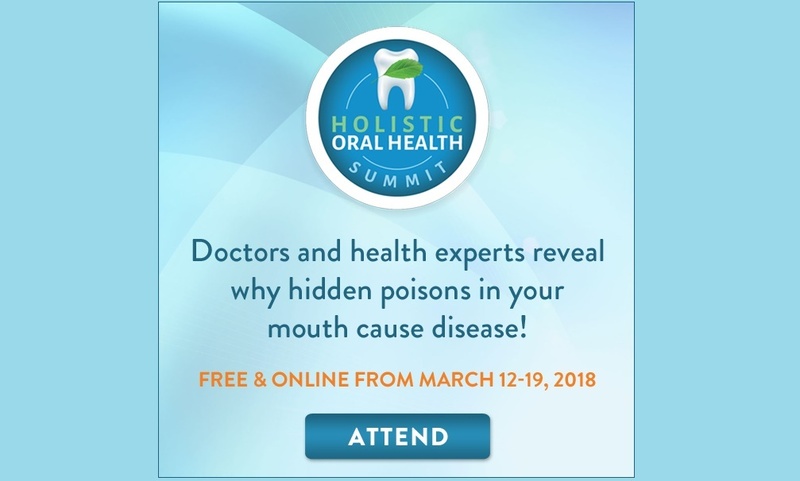 The Holistic Oral Health Summit is online and FREE from March 12-19, 2018. You’ve heard about it on the news. Millions of people are suffering from all kinds of health problems and diseases. And many of these diseases are deadly. But did you know that problems in your MOUTH might be causing a whopping 80% of these diseases? All caused by modern dental practices and common oral infections. The legendary physician Reinhard Voll, M.D. discovered this shocking fact after 40 years of scientific research. Think about it. If you’re suffering from health problems or chronic disease, chances are very high that the problem started in your mouth. These hidden poisons can cause cancer. Heart disease. Arthritis. Diabetes. Chronic migraines. Alzheimer’s. Bladder problems. And more. You can get them from a routine dentist visit. Or they can develop on their own. So why haven’t you heard about this from your doctor? The truth is most doctors don’t know. That’s because the medical establishment has been working hard to ban this information. There’s too much at stake… you’ll learn more about that soon. The good news is: we’re not keeping quiet. You and your loved ones have a right to know these life-saving facts.